It has been notified to university students that Uniraj Time Table 2018 for BA, BSc, BCom, MA, MSc, MCom ( UG/PG) has been Released. 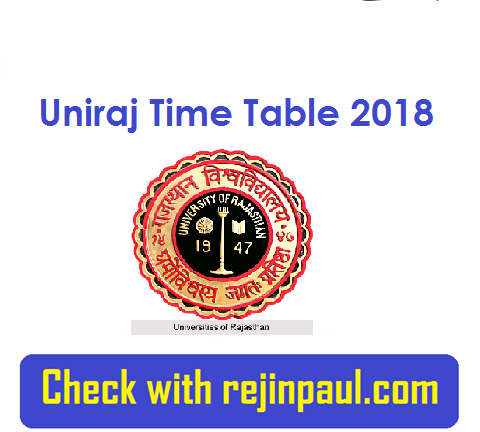 Uniraj Time Table 2018 will be announced for Under Graduate / Post Graduate Students. students are advised to check Rajasthan University Time Table 2018 through our Rejinpaul Website.Based on the time table can plan their preparation. 1st / 2nd / 3rd year UG PG Students can take Uniraj Exam during March /April 2018 End Semester Examination. As per Previous year statistics the uniraj will reveal RU BA, B.Sc, B.Com, MA, M.Sc, M.Com Semester / Year Time Table 2018 during Jan / Feb month. Students can download Rajasthan University MA, M.Sc, M.Com, BA, B.Sc, B.Com Part 1, 2, 3 Schedule 2018. 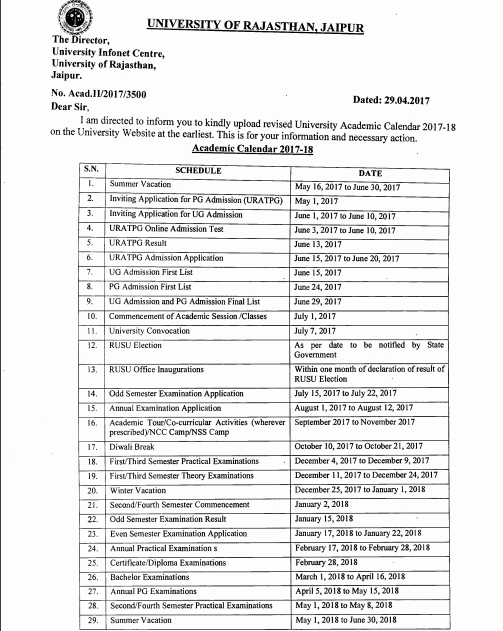 University of Rajasthan will issue upload Academic Calander 2017 - 18 on UniRaj University Website. UG / PG Public Annual Examination is planned from 1st March to 16th April 2018 and PG Annual Examination from 5th April to 15th May 2018. Students can download the Uniraj time table 2018 using below link. Students who registered in Rajasthan university Semester / Yeau Exam are inform that, If you have any query regards to Uniraj exam schedule 2018 , have leave comment in below provided comment box. We will be sure provided information/ suggestion To download Uniraj Time Table 2018 as your reference.